The suicide attack which happened on Tuesday night in Herat, Afghanistan claimed the lives of 90 people and injured more than 50 others. According to hospital sources, 90 dead bodies and Many injured have so far been transferred to hospital. Two suicide terrorists broke into a mosque in Herat, then one of them started shooting at worshipers and the other terrorist detonated himself inside the mosque, Herat police reported. 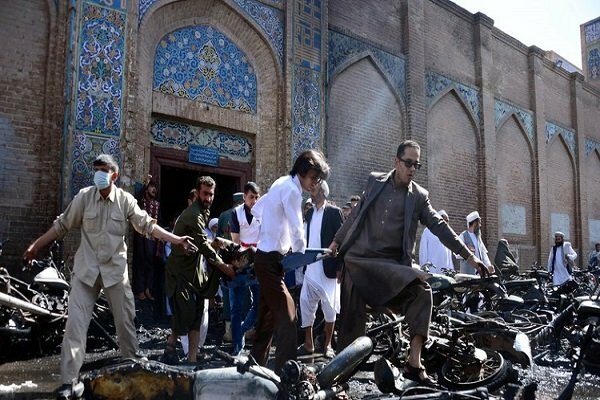 People of Herat have experienced suicide attacks and explosions in Shia mosques since the beginning of the current year. No group has yet claimed the responsibility for the deadly incident.